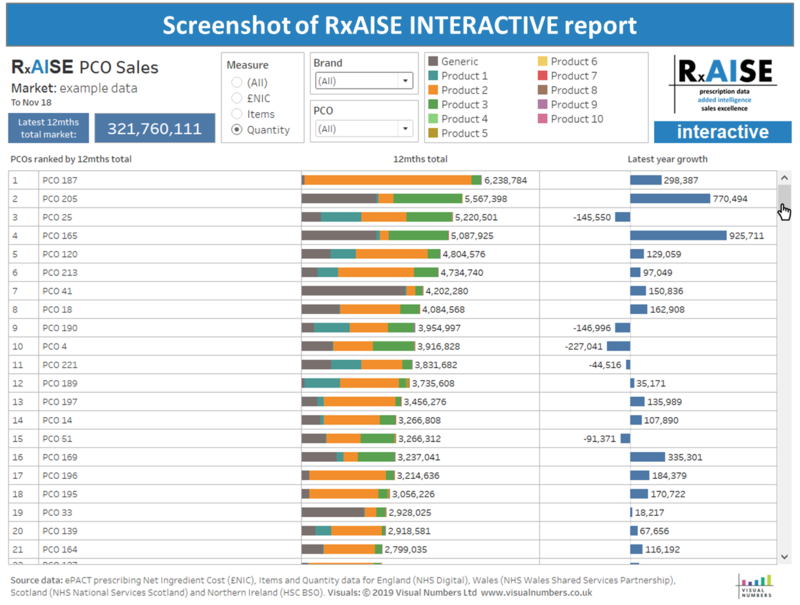 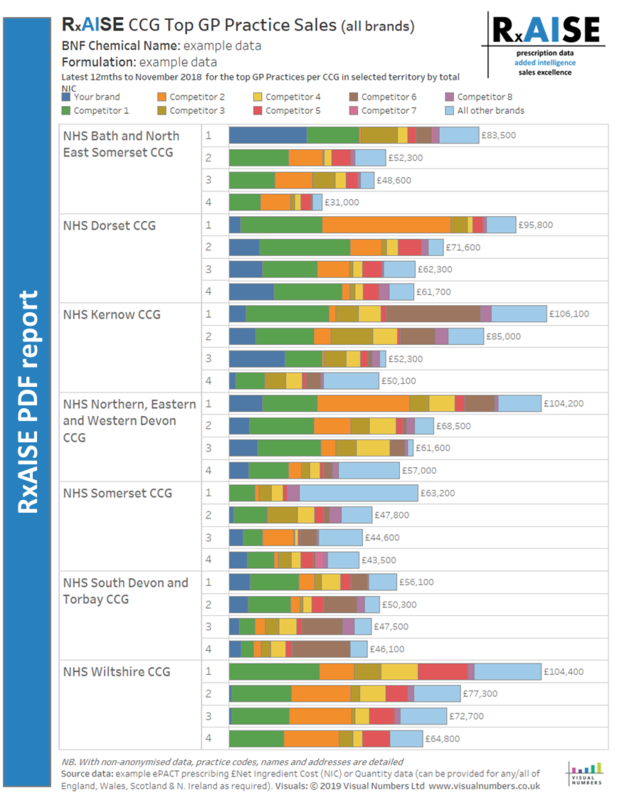 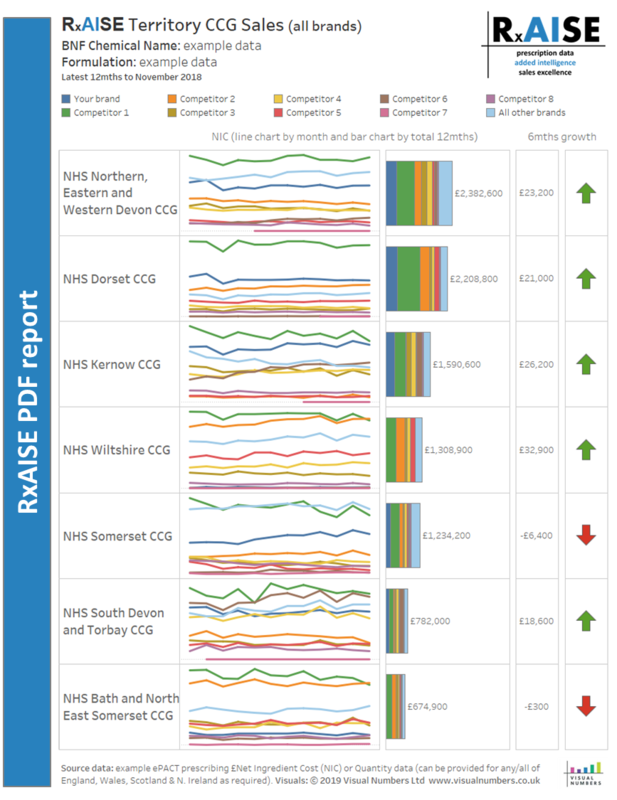 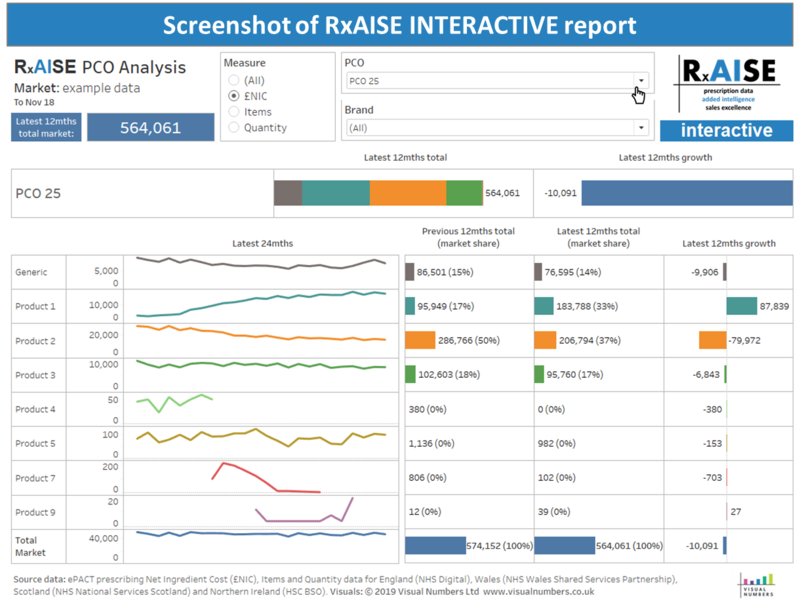 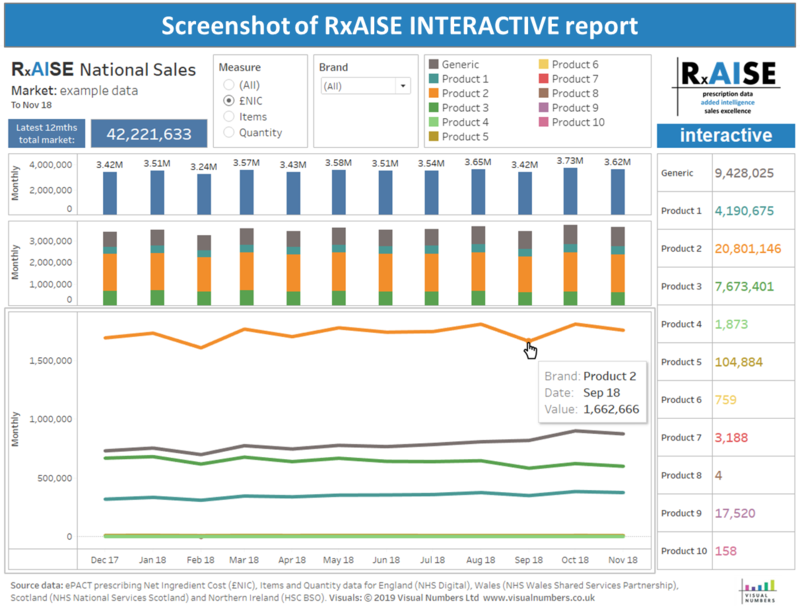 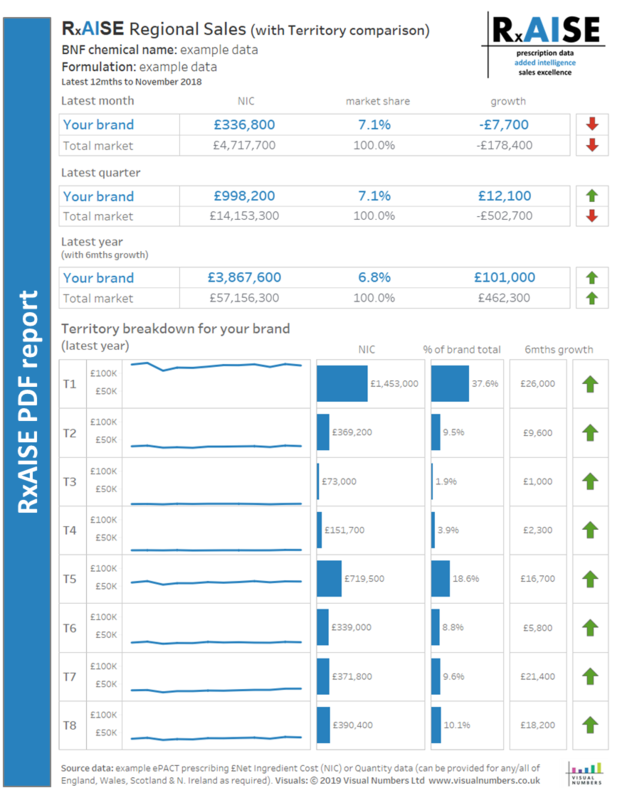 RxAISE is a new sales reporting service from VISUAL NUMBERS offering exceptionally cost-effective National, Regional, Territory, CCG and GP Practice reports using prescription data. 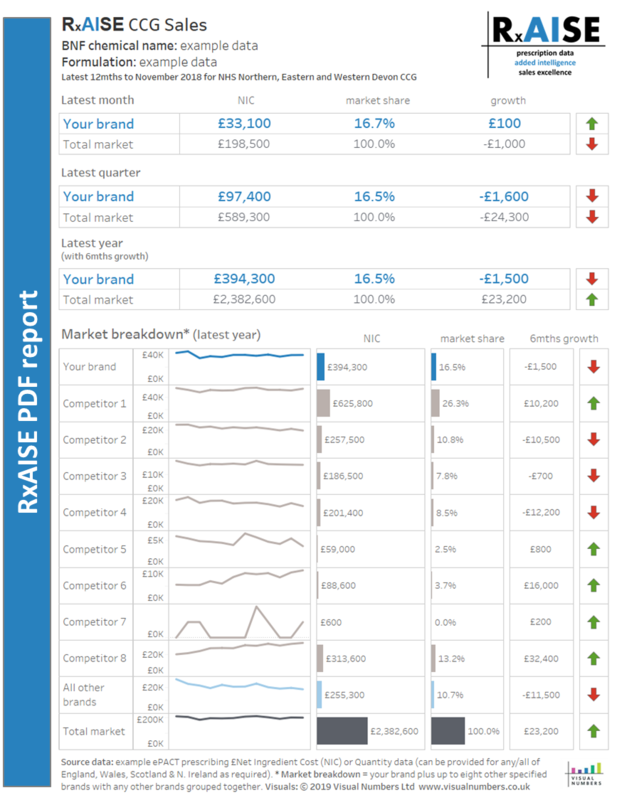 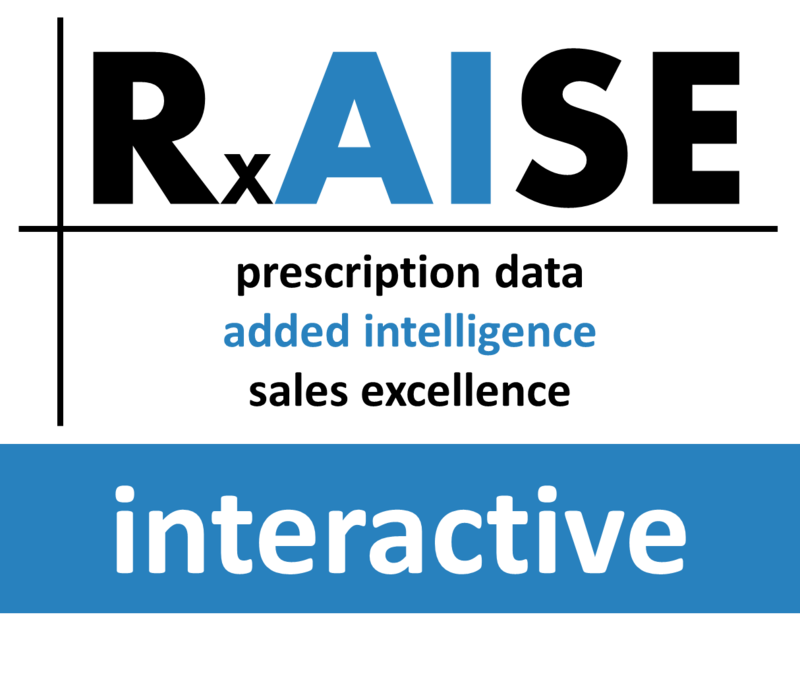 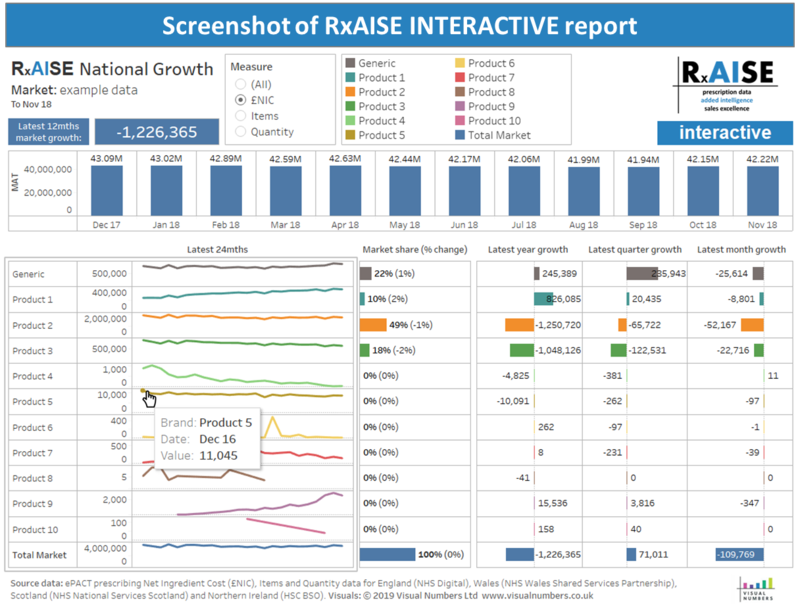 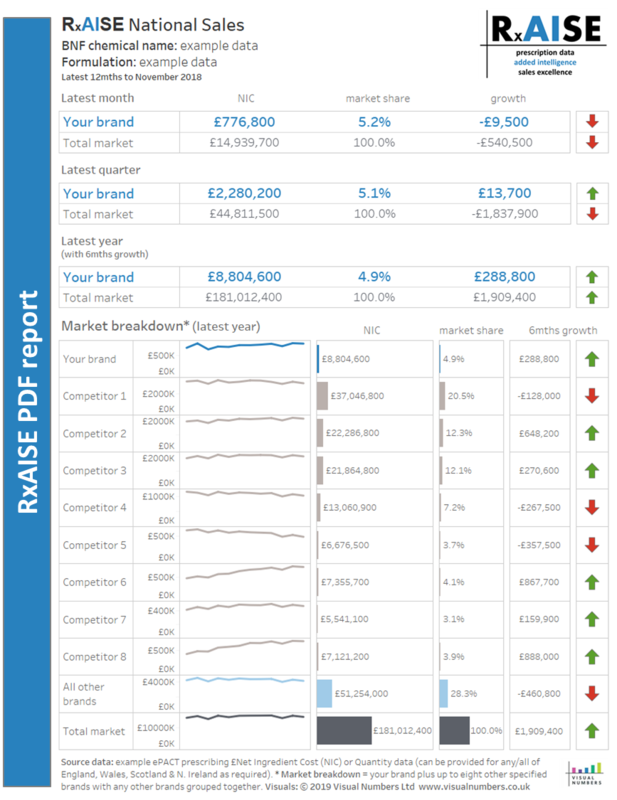 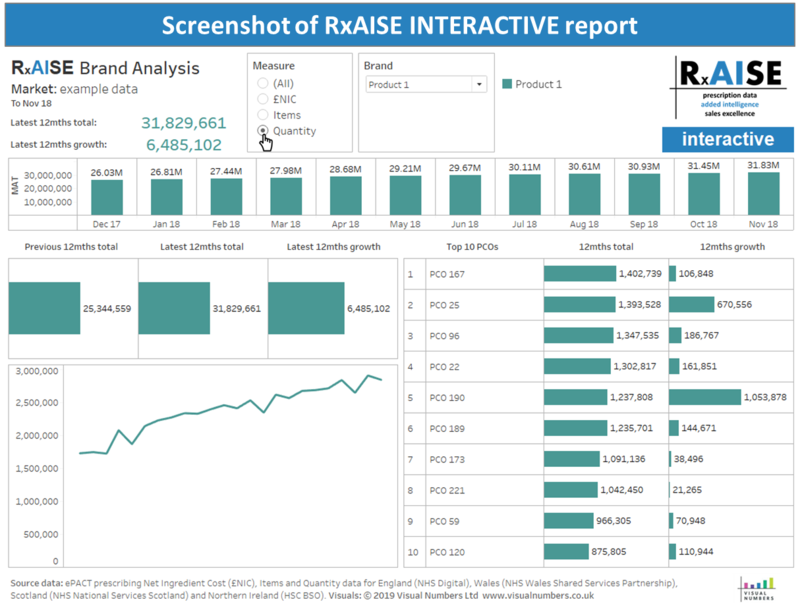 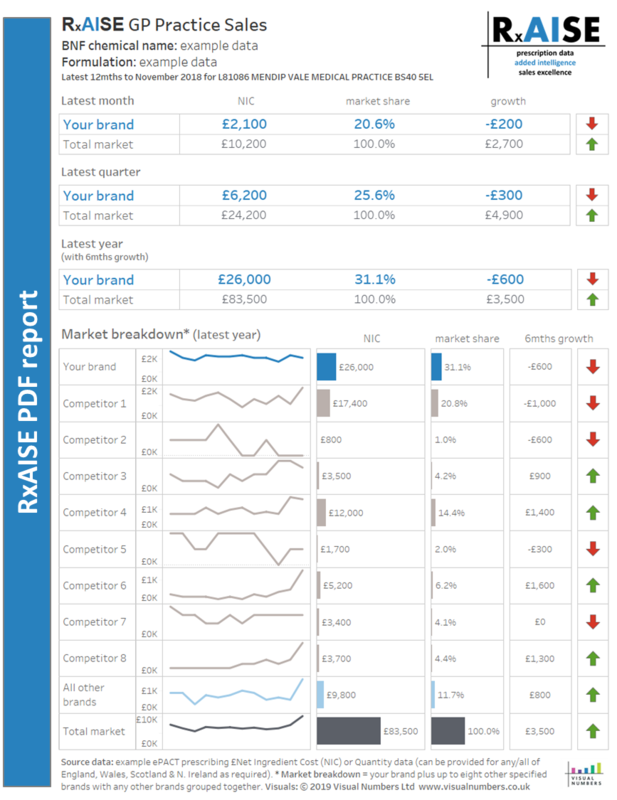 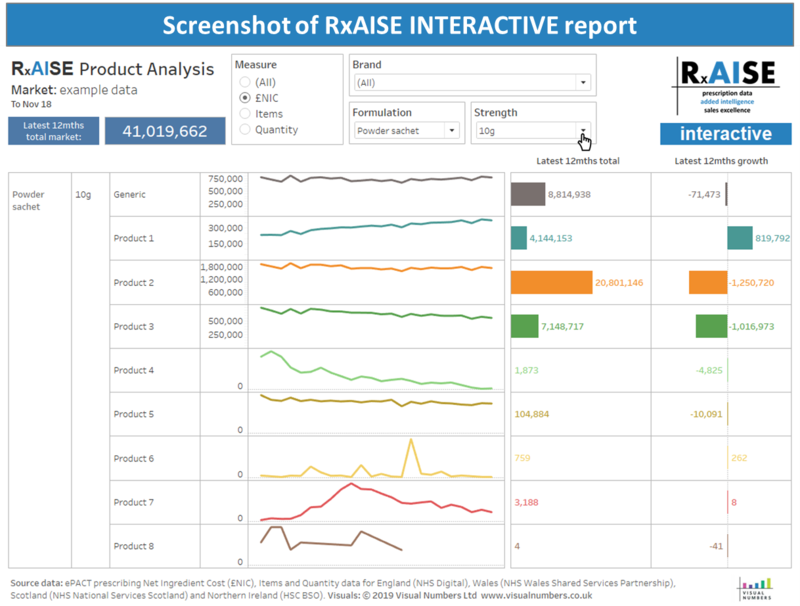 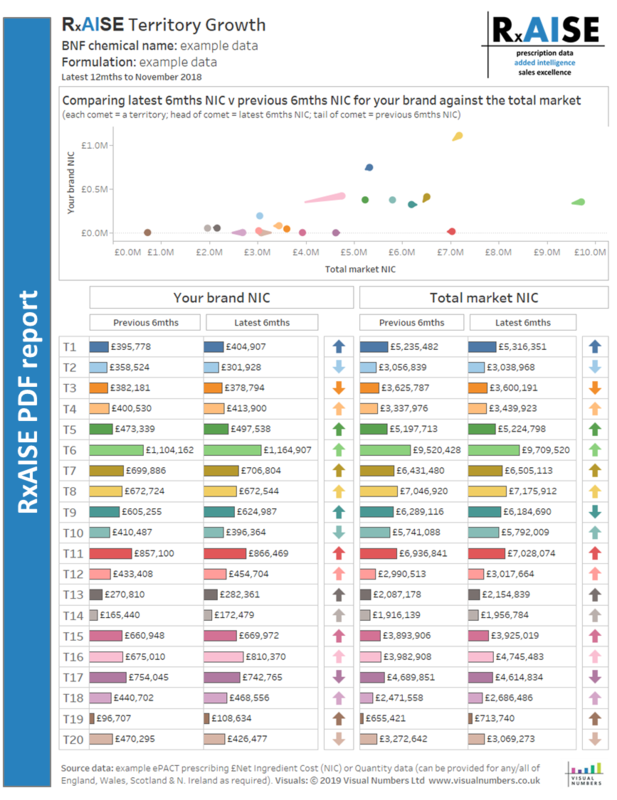 RxAISE pdf and interactive reports are simple to understand, enhancing customer and market insights, lowering costs and raising profits. 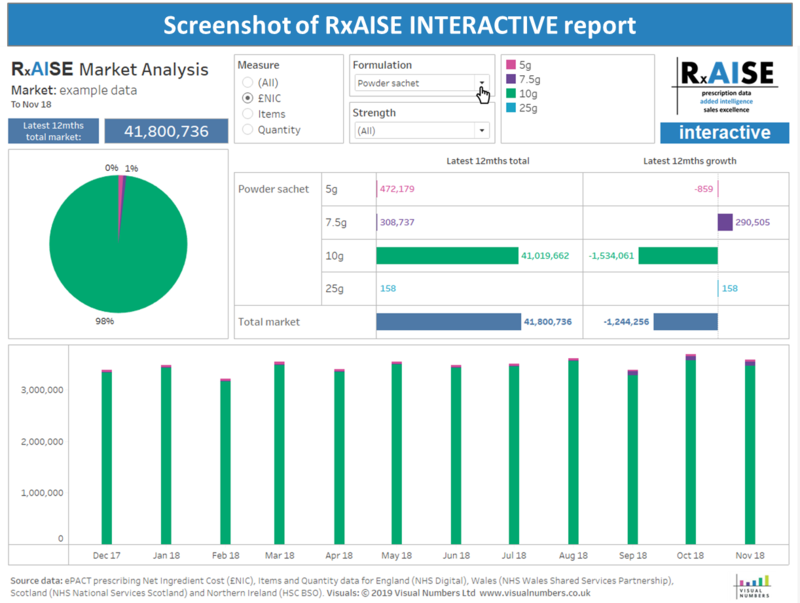 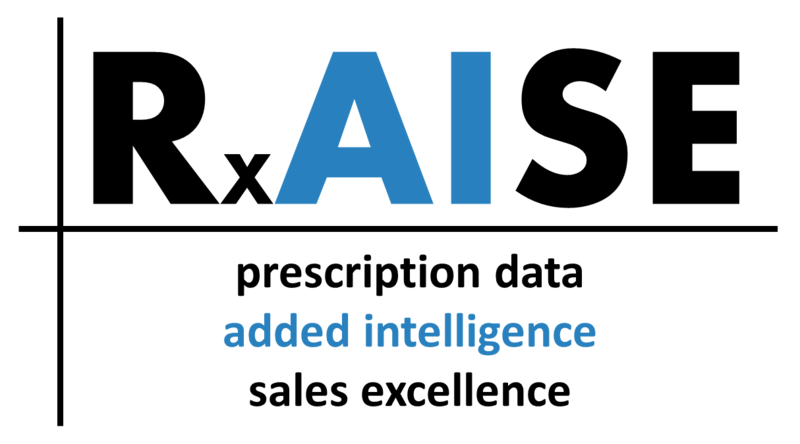 individual representatives and organisations (such as marketing and recruitment agencies) looking for further prescription data detail at any level.